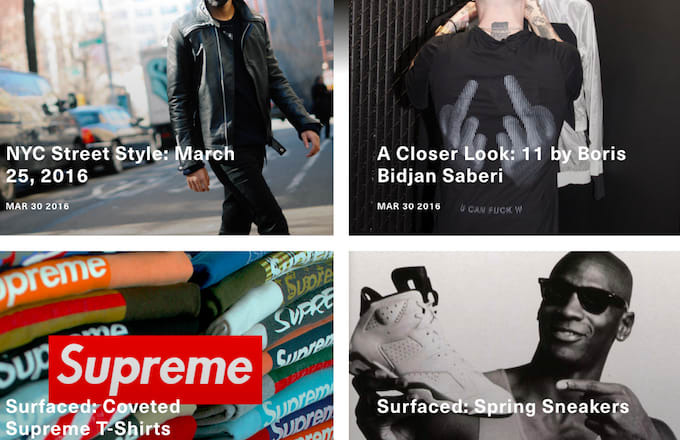 After dropping a mobile app earlier this year, menswear resale site Grailed is back with the fire #content. Today the company, known for its rare gear and Supreme resellers, launches Dry Clean Only, a new content platform. With a starting lineup featuring Four Pins-esque streetstyle photography matched with similar products available for purchase, as well as an ongoing Surfaced series that features brands of note like Raf Simons and Supreme, it’s an immediate bookmark for menswear nerds and compulsive shoppers. For Grailed, the platform is meant to provide context for products in their marketplace. That means fans can look forward to more pieces like their profile of German-born Boris Bidjan Saberi. Dry Clean Only is live now.